St Andrew’s Hospice provides specialist palliative care to people living with life-limiting illnesses and was chosen by Fernando, who is too ill to travel home to Spain, due to the quality of support they offer. As a registered charity, services are provided free of charge and are made possible by the generosity of the public who shop in St Andrew’s Hospice shops, play the Hospice lottery, leave gifts in their Wills and support fundraising events, such as the Race Night. A number of Fernando’s old team mates, including Alex Rae and Marvin Andrews, will also be on hand during the event. 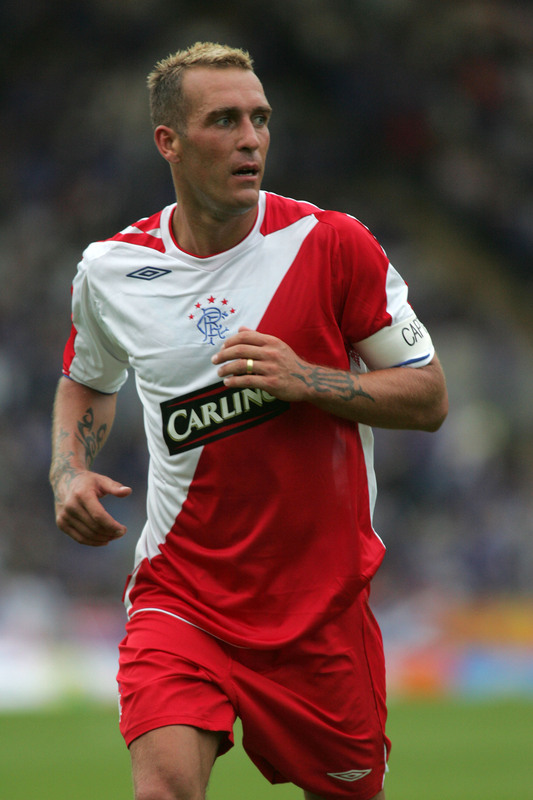 Rangers Charity Foundation Director, Connal Cochrane, said: “We are fortunate to have known Fernando for many years and, since visiting him at St Andrew’s Hospice recently, I saw first-hand the excellent care he is receiving. “To help demonstrate our affection for Fernando and recognition of the Hospice for their ongoing care, we are pleased to be dedicating all the funds raised, from what we hope will be a very popular event, in support of the Hospice. Deputy Chief Executive of St Andrew’s Hospice, Joy Farquharson, said: “St Andrew’s Hospice offers specialist palliative care and support to patients and their families, tailored to meet their individual needs. “We care for up to 120 patients each week, with a range of needs including symptom management, rehabilitation as well as end of life care. Tickets are just £10 and include a pie and pint or glass of wine on arrival. Guests enter via the Main Entrance at the Stadium and will have the chance to walk up the famous marble staircase into the heart of the Main Stand, before enjoying a great night in the exclusive Thornton Suite. Prize money is up for grabs in eight different races throughout the evening, with bets costing just £1 each. You can also buy a horse for £5, giving you the chance to win special prizes on the night. There will also be fantastic prizes to be won in the raffle and auction, as well as the chance to enjoy a visit to the famous Ibrox Trophy Room. Make sure you secure your tickets now! Visit https://ticket.global-events.org/e/1903/racenight to purchase your place and horses. If you cannot attend the Race Night but would like to support St Andrews Hospice, you can do so via this JustGiving link: https://www.justgiving.com/fundraising/fernandor2. We would also be very happy to hear from you if you would like to assist with items for our Raffle and Auction on the night. To do so, please speak to a member of the team on 0141 580 8775, or email rangerscharity@rangers.co.uk.